What Keeps France’s Unemployment High? A new IMF working paper by Sophia Chen and Romain Ranciere studies the forecasting power of financial variables for macroeconomic variables for 62 countries between 1980 and 2013. They find that financial variables such as credit growth, stock prices and house prices have considerable predictive power for macroeconomic variables at one to four quarters horizons. A forecasting model with financial variables outperforms the World Economic Outlook (WEO) forecasts in up to 85 percent of our sample countries at the four quarters horizon. 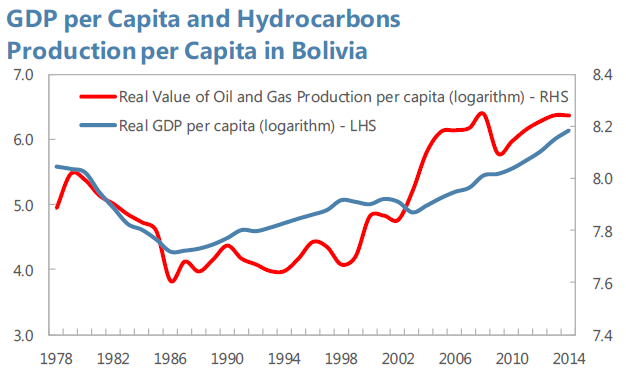 There exists a strong positive long-run relationship between real GDP per capita and the real value of hydrocarbons production in Latin American and Caribbean (LAC) oil and gas producers. 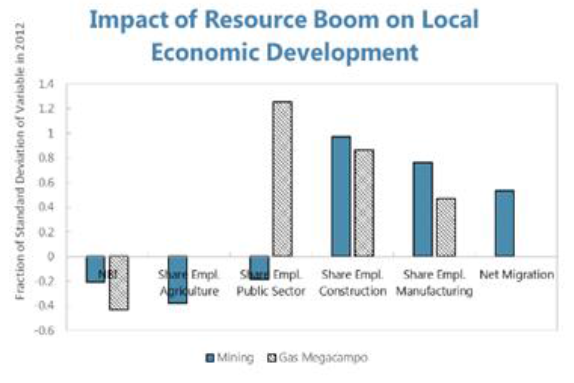 Panel co-integration analysis for the period 1980–2014 suggests that a 100 percent increase in the value of oil and gas production increases the level of GDP by 14 percent on average. The relationship is particularly pronounced in Trinidad and Tobago and Venezuela while for Bolivia it is close to the LAC average. 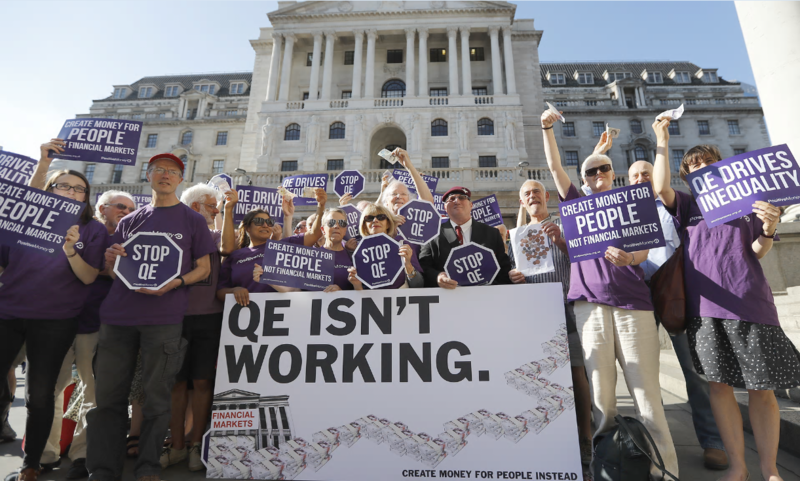 Do the actions of central banks affect inequality? Leading central bankers have been discussing the issue (e.g., Yellen 2014; Bernanke 2015, Draghi 2016) but there is little consensus about the sign and magnitude of the effect. Our new paper documents how monetary policy affects income inequality in 32 advanced economies and emerging market countries over the period of 1990-2013. We find that decline of 100 basis points in the policy interest rate lowers inequality by about 1¼ percent in the short term and by about 2¼ percent in the medium term. The effect is significant and holds for different measures of inequality (Gini coefficient, top income shares and labor share of income). To identify the causal effect of monetary policy shocks on inequality, we borrow from the recent literature on fiscal policy (Auerbach and Gorodnichenko 2013) and construct unexpected changes in policy rates that are orthogonal to innovations in economic activity. Do the actions of central banks affect inequality? Leading central bankers have been discussing the issue (e.g., Yellen 2014; Bernanke 2015, Draghi 2016) but there is little consensus about the sign and magnitude of the effect. Our new paper documents how monetary policy affects income inequality in 32 advanced economies and emerging market countries over the period of 1990-2013. We find that decline of 100 basis points in the policy interest rate lowers inequality by about 1¼ percent in the short term and by about 2¼ percent in the medium term. The Fed and the U.S. Economy: Hitting the Bull’s Eye? 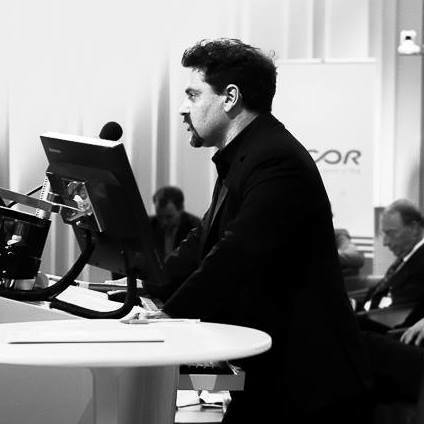 Like Jim Hamilton, I like the visual device suggested by my friend and former colleague Charlie Evans (a.k.a. President Evans of the Chicago Fed) of using a bull’s eye to show where the economy is relative to the Fed’s likely targets. 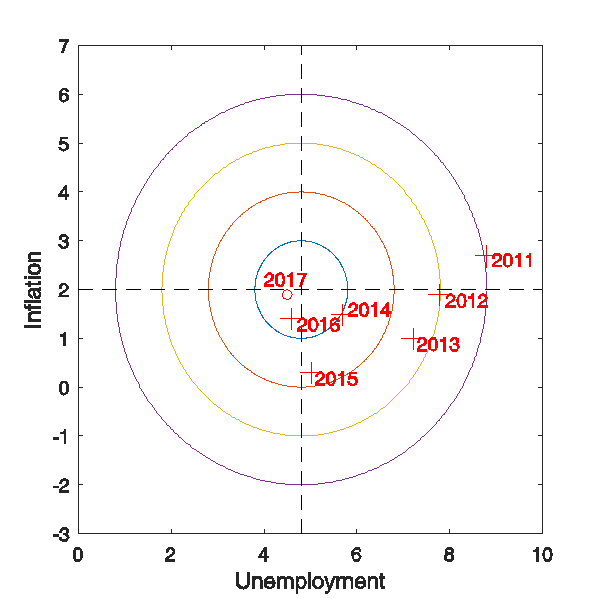 Jim’s latest update shows the U.S. economy moving back towards the bull’s eye.